On Thursday night, the Pro Football Hall of Fame’s Board of Selectors announced the list of the 15 modern-era finalists who are eligible for induction into the H.O.F. in 2019 – and HO-LEE HELL, it is absolutely freakin’ LOADED. And the best part is that I actually remember watching pretty much all of these guys! For the past few years, I’ve found myself caring more and more about the Hall – and the dog and pony show that comes along with it – than I ever did as a kid. With former players like Marvin Harrison, Terrell Davis, Jason Taylor, Kurt Warner, Terrell Owens, LaDainian Tomlinson, Brian Dawkins, Brian Urlacher, and Randy Moss all getting in within the past three classes, I have never been more attuned to the yearly announcement than I am nowadays. Last year’s class was a solid group. But this list??!! I couldn’t believe my eyes when I first saw it, and I have been agonizing all morning over which five of them I’d choose to make it in (ya know, if my opinion actually mattered at all in the grand scheme of things). OK, OK, Mattes. We get it. So who’s on the list? That rundown reads like an early-2000s Madden dream team. And it even includes two former Patriots! Save for Law, Seymour, Flores, and Reed, the group is actually pretty light in terms of Super Bowl hardware, but the amount of collective Pro Bowl appearances and All-Pro selections is ridiculous. Tony G. was the easiest pick on the list for me. Some might be very quick to mention that it took him 16 years to finally get a playoff win, especially considering the fact he played on some pretty good teams in Kansas City and Atlanta throughout his career. OK. Fine. But there’s no doubting the fact that he is the most consistent and dependable tight end to ever play the game. In fact, he’s one of the most consistent and dependable pass-catchers to ever play the game, finishing second all-time in career receptions with 1,325! Only Jerry Rice has caught more balls in the history of the game, and the only other tight end who is even remotely close to Gonzalez’s total is Jason Witten – and he’s still almost 200 catches behind. Gonzalez is also eighth all-time with 111 receiving touchdowns. This is a guy who should get in purely on his numbers alone. Throughout the first decade of the new millenium, there may have been no more dominant safety in the NFL than Ed Reed. (Although Troy Polamalu and Brian Dawkins, another Hall-of-Famer, might’ve given him a run for his money.) No, Reed wasn’t the biggest guy, or the hardest hitter. But his all-around ability gave opposing offensive coordinators fits, as there was very little you could do to fool him. He was always in the right spot at the right time, making tackles all over the field and ultimately finishing seventh on the all-time interceptions list with 64. Even Bill Belichick, who almost never gives praise to pretty much anyone, said this to Ed Reed back in 2009: “You’re the best free safety that has ever played this game that I’ve seen. You’re awesome.” Reed also helped the Ravens win a Super Bowl in 2013. Another guy who I’m selecting based more upon numbers as opposed to wins, Bailey defined the term “lockdown cornerback.” His 52 career interceptions are even more impressive when you consider the fact that most opposing quarterbacks usually did anything they could to avoid throwing the ball anywhere near him on the field. He was an All-Pro selection seven times in his career, including three in which he was on the First Team, and very few players in history have ever been able to completely nullify a team’s No. 1 receiver on such a consistent and prolonged basis. Bailey played in his first Super Bowl as a 35-year-old, injury-riddled backup in 2014, but his Broncos were annihilated by the Seahawks, 41-8. Still, this guy is one of the greatest cover men to ever play the game. OK, so I wasn’t even a twinkle in my parents’ eyes during Flores’s time, but after reading a pretty awesome ESPN.com article on him today, I can’t ignore what I now know. Flores is eligible to be inducted into the Hall as a coach, even though he did spend some time as a player. And he was not just any player; he was the first professional Latino quarterback in history and finished as the fifth-leading passer in AFL history. (Again, this was before the NFL as we know it today was a thing.) 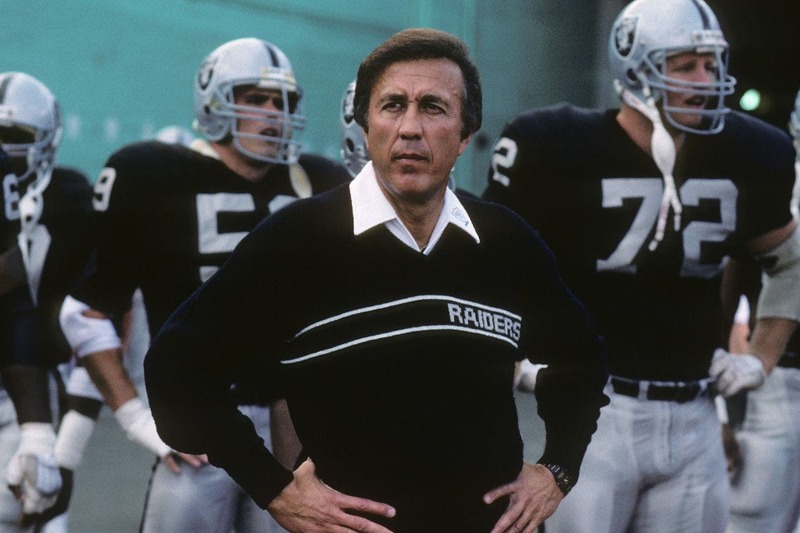 He’s also won four combined Super Bowls in his career: one as a player, one as an assistant coach, and two as head coach of the Raiders in the 1980s. Again, I’m no expert on the guy, but after learning as much as I did about him recently, he’s a shoe-in. We’d also love to know who you think should make it in and why. Be sure to let us know in the comments section or on Facebook! This entry was posted in News, NFL and tagged 2019 Pro Football Hall of Fame, 2019 Pro Football Hall of Fame Finalists, Alan Faneca, Champ Bailey, Ed Reed, Hall of Fame, Hall of Fame Finalists, HOF Finalists, NFL, NFL Hall of Fame, Pro Football Hall of Fame, Tom Flores, Tony Gonzalez. Bookmark the permalink.